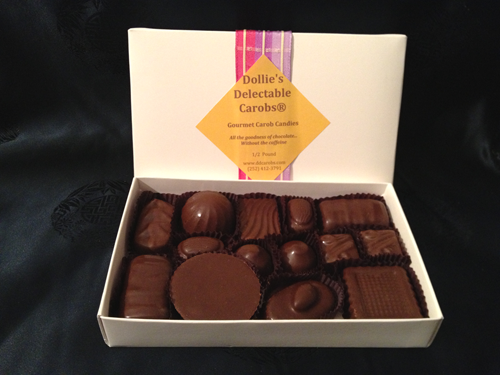 These gift boxes are filled with an assortment of our delectable carob candies. 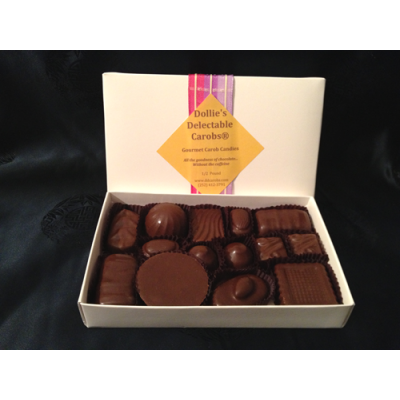 Our medium gift box contains 14 pieces of delicious carob candy. Assortments may include: Coconut, Coconut Almond, Babettes, Krunch Bars, Peanut Butter Cups and Turtles. They may also include Almond, Cashew, Macadamia, and Peanut Bites.